Arrrrr – It’s the Pirates’ House! 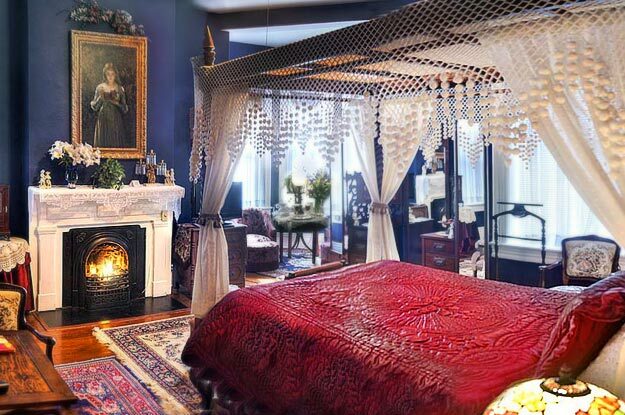 There’s a restaurant in Savannah that’s been serving customers since 1753 – for a time you could even get shanghaied there, but they’ve discontinued that service – The Pirates’ House! Originally constructed in 1734 as part of an experimental garden complex modeled after London’s Chelsea Botanical Garden, the site of The Pirates’ House is the source of the peach trees that Georgia and South Carolina are so famous for, as well as the upland cotton that played a major role in our nation’s early economy. The “Herb House” remains from those times: a small building still adjoining what we now know as The Pirates’ House. It was part of this early trustee’s garden and is thought by many to be the oldest building in the state of Georgia. After Savannah’s need for an experimental garden passed, the land was re-purposed into mostly residences. 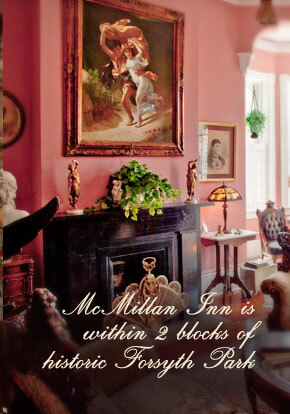 Being just a block away from the Savannah River, an inn for sailors seemed a sensible addition and one was built off the remaining Herb House. Because of its location, this sailor’s inn became a rendezvous for not just working sailors but also pirates and other less-desirables. Along with a reputation for a place to stay, eat, and carouse, rumor had it that getting too deep in your cups here could end up seeing you crimped. Now, being “crimped” means kidnapped – or shanghaied: knocked out, taken via a tunnel to the waterfront, and sent to sea. Hapless sailors stopping by for a drink or three could awaken at as a virtual slave on the high seas! Though the buildings still stand, this service has been discontinued, so forget about bringing your teens in hoping to see them off. Instead, The Pirates’ House is now one of America’s most unique restaurants. Despite the addition of a modern kitchen, The Pirates’ House retains its historic tavern flavor with peg-joined, hand hewn ceiling beams and 15 fascinating dining rooms. 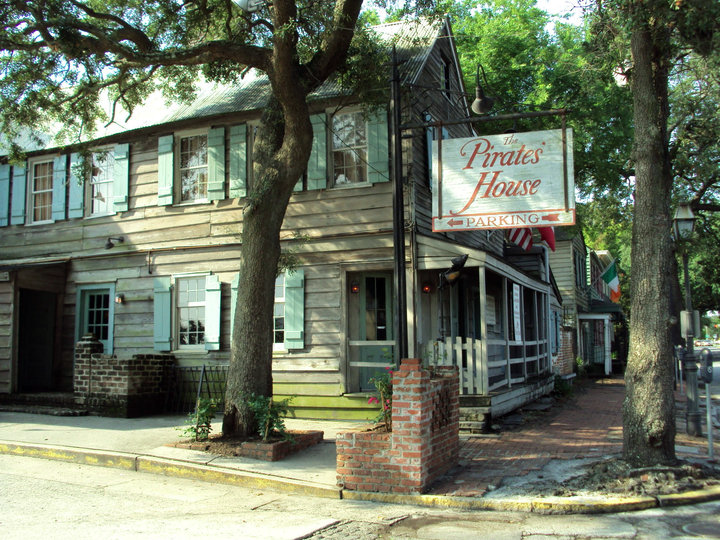 Recognized by The American Museum Society as a house museum, The Pirates’ House somehow manages to be both a Savannah landmark and a restaurant popular with visitors and residents alike – Don’t miss it!